One of the best parts of the holiday season is the menu of indulgent food and drinks that comes along with it. But while you enjoy that cup of spiked hot cocoa, you’ve got to be careful your dog or cat doesn’t nab a lick. 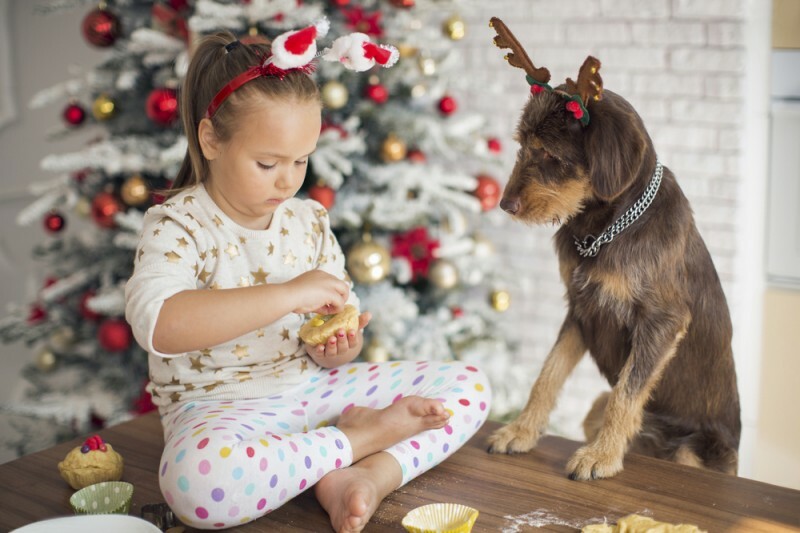 Here are five holiday treats that are dangerous for your pets, according to Vetstreet. Any coffee lover will agree that there’s nothing quite like an after-dinner cup of joe on a cold night. But pups, kitties, and other pets will have to sit this tradition out. Caffeine can prompt seizures and abnormal heart rhythms in pets, and can sometimes be fatal. Other caffeinated drinks, such as soda or tea, should also be kept away from your four-legged family members. We know the threat that bread dough poses to the appearance of our thighs, but it’s much more dangerous to our furry little friends. Holiday bakers have to be careful of unbaked bread dough as it can expand in animal stomachs if ingested. In some dogs, the stomach can twist and cut off the blood supply, in which case the pup would need emergency surgery. A little chocolate never hurt anybody, right? Wrong. The sweet treat can cause seizures and even be fatal to our pets. Darker chocolate, such as the baker’s chocolate we love to put in our holiday cookies, is more toxic to our pets than milk or white chocolate. The toxic ingredients include caffeine and theobromine, a chemical found in the cacao plant. Macadamia nuts, which are a common ingredient in holiday cookies and often put out to munch on as an appetizer, can be toxic to dogs. While poisoning might not always be easy to detect in a pet, clinical warning signs include depression, weakness, vomiting, tremors, joint stiffness, and lack of coordination. Think back to when you first started drinking and how much less alcohol it took to get you tipsy, because you likely weighed less than you do now. Well, your pet probably weighs a lot less than you did, even back then, meaning it takes much less alcohol to make them dangerously sick. Keep those wine glasses far out of reach of your pets in order to avoid any issues. Well, maybe not any issue: We can’t promise that this will stop you from getting embarrassingly drunk at a holiday party this year.